Margaret Jean Arthur Atkins, age 88, of Salem, Va. went to be with the Lord on Saturday, December 15, 2018 in Salem. She was born on Friday, February 28, 1930. Margaret was a loving wife, a wonderful mother to her children, and she adored her grandkids. She helped others, never met a stranger, and would give someone in need the shirt off of her back if it meant that they wouldn’t be without. She spent her working career at Lewis – Gale Medical Center with over 18 years of service. Margaret trusted in the Lord Jesus Christ and is now with him in his kingdom. She is preceded in death by her first husband, Joe B. Arthur. 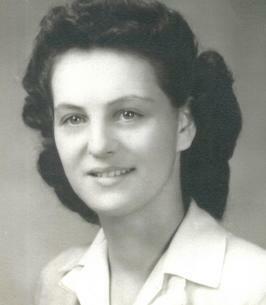 Those left to cherish her memory are her husband, Paul G. Atkins; son, Neal Arthur; step-sons, Jerry Atkins and wife, Karen, Matthew Atkins and Tony Atkins; step-daughters, Suzie Chandler and friend, “Red” and Melanie Hodges and husband, Mike; grandson, Dakota “Cody” Arthur; granddaughter, Paxton “Sissy” Arthur; step-grandson, Tyler Hodges; great-grandkids, Stacy, Josh, and Chandler Morris; so many special friends. A funeral service will be conducted at 2 p.m. on Tuesday, December 18, 2018 at the John M. Oakey & Son Funeral Home in Salem, Va. with Pastor Tim York officiating. Burial will follow at Sherwood Memorial Park in Salem, Va.
Friends may visit with the family from 6 p.m. – 8 p.m. on Monday, December 17, 2018 at the funeral home.